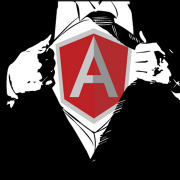 Many of us have built AngularJS applications and some of us want to use the new awesome of Angular 2.x+. The Angular team has published a service for upgrading from AngularJS to Angular called ngUpgrade so we can use the latest cool. In this talk, we'll briefly talk about the high-level differences between AngularJS and Angular, discuss strategies for getting ready for the upgrade, and walk through different strategies for performing the upgrade.